The Anne Frank House is a must to experience if you're in Amsterdam, Netherlands. There's no denying that. The Anne Frank House, also called the Anne Frank Huis, is a humbling reality. Anne Frank is a Jewish girl who went into hiding during World War II to escape the Nazis. 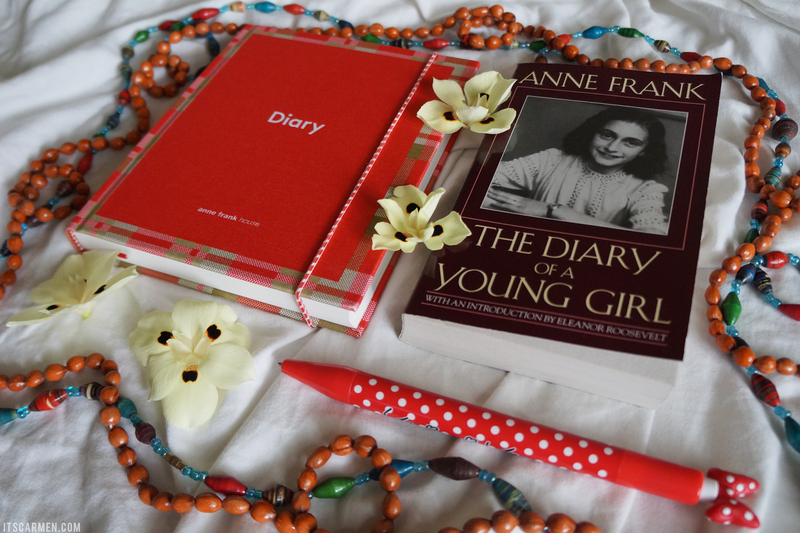 You've probably heard about her journal The Diary of Anne Frank & its many other titles. Anne Frank is known for keeping a diary during her time in the Secret Annex. She wrote short stories, diary entries, & favorite quotes from other writers. She wanted her diary to be published as a novel after the war, which was why she attempted to rewrite it. She didn't get the opportunity to finish because her family was discovered & arrested. Anne, her family, & four others hid in the small Secret Annex for two years before being found. 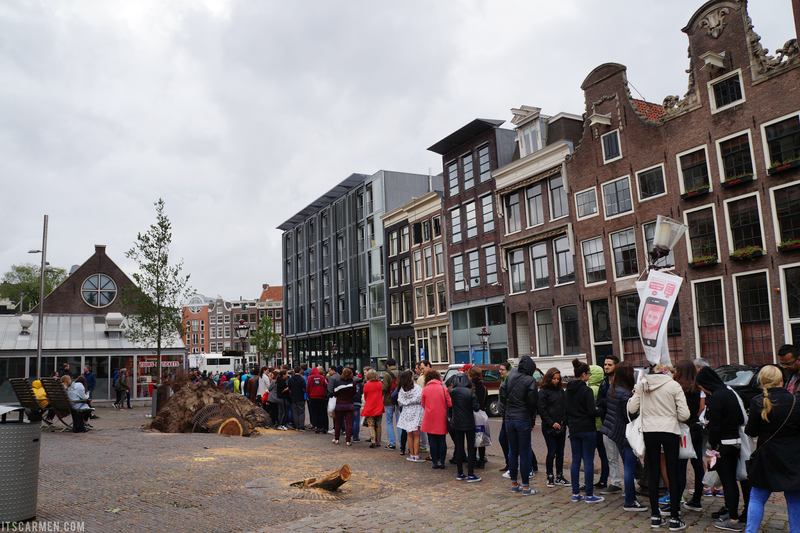 Prepare for a long queue if you want to visit the Anne Frank House. The waiting time ranges. I ended up waiting for 90 minutes, but I talked to a local who said it's not unheard of to wait up to four hours. It really varies per day & depends how long you feel like waiting in line. If you know ahead of time when you're heading to Amsterdam & the Anne Frank Huis, you may buy entrance tickets online, print them out or show them on your smart phone. It gives you a direct entrance. However, these tickets can be sold out months in advance. You may purchase your tickets in advance or buy them at the door. That just means you have to wait in the queue. Adult admission prices are €9. If you're 10 - 17 years old or have a European Youth Card, it's €4.50. You can learn more about prices, admission, & hours of operation here. Photos, videos, & using your cell phone are not allowed out of respect for other visitors & to preserve the original documents & photos. That said, I have no pictures from inside the building. That's just something you'll have to witness yourself. Once you're inside, you can see the photos that Anne hung up in her room & even the lines on the wall to mark the growth of the children. Throughout the Annex you'll see personal documents from the Frank family & even some videos with background information. 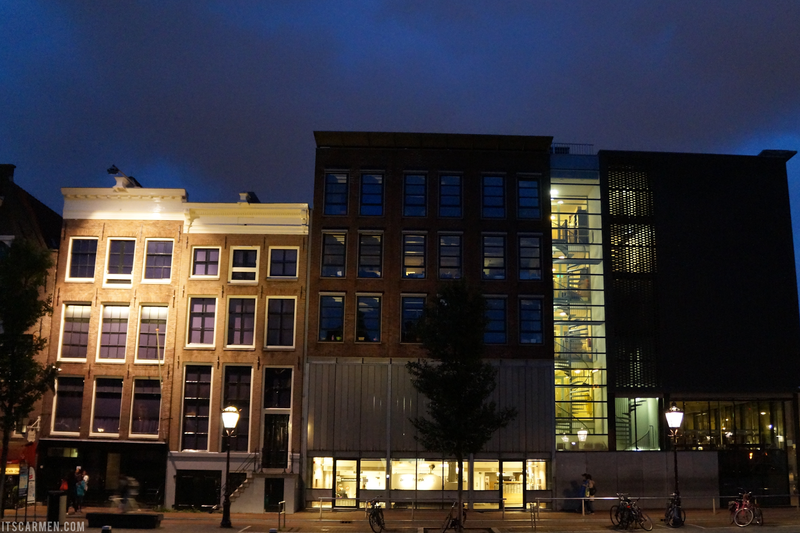 The Anne Frank House is a place to learn & understand the history & horror of the past. It's not a palace with enormous chandeliers & gold covered ceilings. But it most certainly is grand. It's magical. It's thought provoking. You will leave the Annex feeling changed, feeling inspired, possibly even feeling somber but grateful. If you make it to the Netherlands & Amsterdam, absolutely take the time to go to the Anne Frank House. I recommend it to anyone. I'm Dutch myself and I haven't been there (yet), but it's definitely something I want to experience. Wow, how awesome is it that you were able to visit such a historic place?! I've never been there before, but I definitely intend on planning a visit. Visiting here is on my bucketlist for sure! I love visiting these types of 'museums' and it really helps you appreciate it much more. When I was in England I got to visit where Shakespeare grew up, as well as Anne Hathaway's cottage. It was pretty neat. Stratford-upon-avon is a beautiful place. Lovely post, I hope to visit one day. I'm so jealous, what a beautiful place. I would so love to visit here. I've heard that there's no feeling like it, the depth and emotion of it all. You're so correct. It's an emotional experience! I read The Diary of a Young Girl for the first time 5 years ago, and it has since been on my re-read list multiple times. It's one of my dreams to visit the Anne Frank House! My brother has visited it before and all he has to say are amazing things! But that QUEUE, ah! I'm off to Amsterdam in November. Can't wait to see it! I would love to visit there one day. It must be such an amazing place to see. I would love to visit Anne Frank's house! I grew up reading her diary and watching documentaries and movies based about her life. Her legacy definitely would live on forever! Oh I have wanted to visit here as well!! So nice!!! You are lucky to go! On my list for sure!!! I was lucky enough to visit Anne Frank's house while studying abroad in college. So beautiful, heartbreaking, and inspiring all at the same time. I'm glad you enjoyed your time there! I want to visit there someday, all since I read her book as a child! I am going to Amsterdam later this year and this is top of my list! I read her diary when I was younger but I will definitely reread before going! I'm embarrassed to say I've never read her diary nor have I visited this museum, even though I live in the Netherlands. I've only recently seen Rembrandt's Night Watch (finally!) at the Rijksmuseum in Amsterdam. So I'm getting there ;-) . But Anne Frank is definitely a fascinating historical figure and I can imagine it's a special and intimate experience to visit the museum, especially if one has read her diary! Thanks for sharing your experience and the recommendation! I have never been there but I've heard a lot about it, and it would be a great to visit someday. I read her diary when I was about 13 or 14 so when I visited Amsterdam a few years ago I vowed to go visit the house. Luckily for us, it was early in the day and pouring with rain when we arrived and I think we only waited 15 minutes! It was honestly such a surreal and humbling experience, there's nothing like it. I bet it was a very moving experience. Definitely a place I want to see. Great post. Wow, thanks for sharing! It's nice to have a voice for these kind of things! wow, so long queue ! I would definitely love to visit one day, much inspired by The Fault in Our Stars. x I love the diary you bought! I have never been to Anne Frank's but having read her diary, I would love to go and breathe the same air, walk the same floors. This sounds amazing! Her story is so remarkable and it must be really crazy to stand in the exact place she and her family hid. I'd love to visit someday. Thanks for the tip about the queue, will definitely try to book in advance. OMG I remember reading this when I was younger and staying up until 3am to finish it. The story just about broke me and I don't know if I'd be able to walk through the house. Thank you for sharing! I've always wanted to go to the Anne Frank house, I feel like even though it would be really emotional it would be a once in a life time experience! I'm heading to Amsterdam hopefully in my Europe trip in June! Thanks so much for sharing your experience with us! 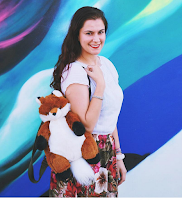 Hi Carmen, I just noticed that you started following my blog; just wanted to say hi ;) How did you come across me? And in summer waiting lines for Anne Frank museum can indeed become very big during holidays so it's best to go there early. Actually, I think the experience of visiting also depends on the history classes people got during school. I sometimes host tourists at my house and I noticed that people coming from schools or countries where not much attention is paid to (foreign) history generally weren't impressed by the museum simply because they missed all the background knowledge of all the horrible things that happened during WWII.